It’s a little early for New Year resolutions, but we thought we would jump the gun by resolving – from now until some as-yet-undetermined-but-very-much-in-the-distant-future date – to release new beers in small batches of 12oz can six-packs. It’ll be a regular thing. Head Brewer Jake will put in the hours on research and recipe development; we’ll brew it; we’ll ferment it; and we’ll can it. In the meantime, we’ll choose a photograph of an Alaskan scene submitted from one of the many astonishingly good photographers in the State, and we’ll use their image on the new can label. We thought it would be a great way to showcase some local artistic talent, and to make the beer cans a bit snazzier in the process. FYI, if you’ve got a good photo and you’d like to see it on a beer can, send it to info@bearpawriverbrewing.com. Once the fresh new beer is canned, labelled, and collected into a sixer, we’ll then put them in our taproom cooler for y'all to collect. 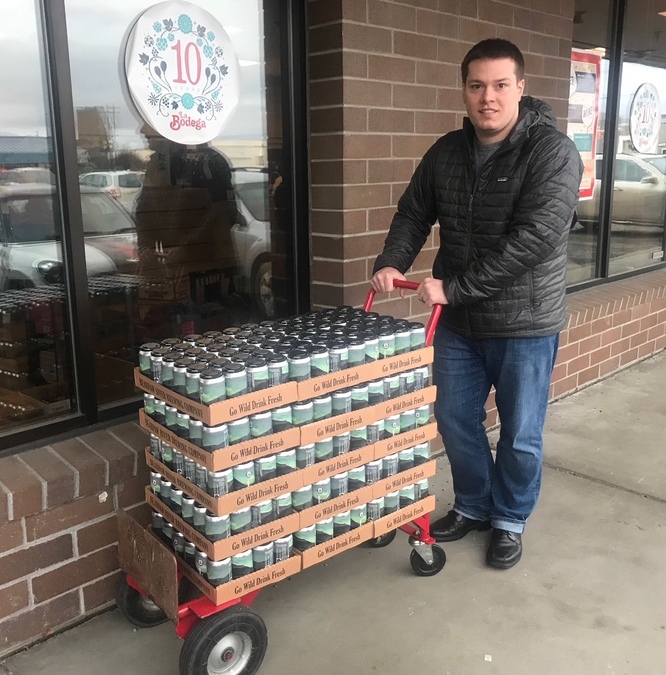 We’ll also send a few cases to the friendly craft beer aficionados at La Bodega in Anchorage, for all of you living south of the Valley. We plan to release a lot of different IPAs but we’ll be throwing other styles into the mix from time to time as well. 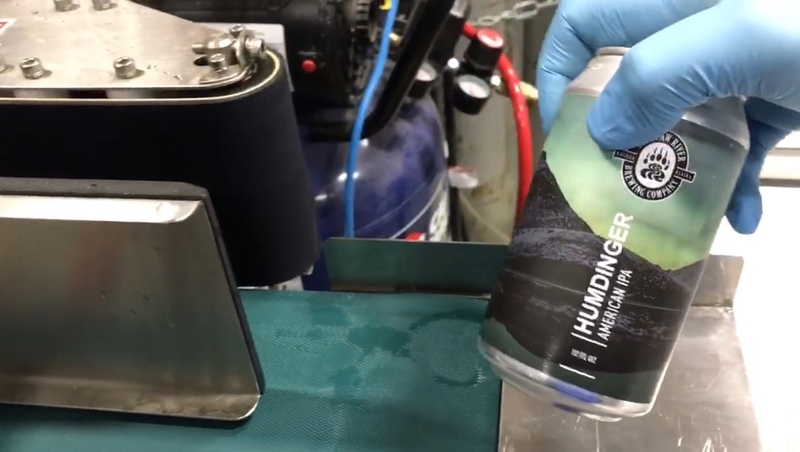 For the first inning we wanted to package a longstanding taproom favorite: the Humdinger IPA,. It's a beaut, we think, made with heaps of Mosaic, Citra, Simcoe, and Azacca, and then triple dry-hopped with Mosaic. We searched through hundreds of amazing photographs and found a pic by Donna Marie Photography. It’s of a green aurora over Summit Lake in Hatcher Pass – one of our favorite places – and we thought it hit the spot. So what’s next? We’re keeping the full deets of our second limited can release close to the vest for the time being, but here’s a little teaser for all you hop heads out there: it’s an IPA with loads of Azacca.